Being on the frontline of the battle for online security we can report with a heavy heart that ads and other annoyances are becoming more and more technologically advanced and creative each day. Companies realized that they can use all resources internet can offer, including very persistent and aggressive advertisements complimented by tracking of personal data and online activity. Apple software and devices are supposed to be (or promoted as) one of the most if not the most safe and cyber protected products that exist. 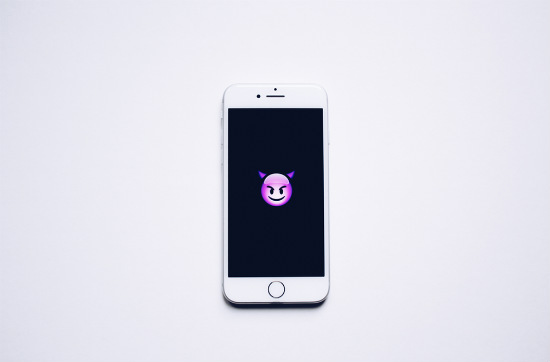 However, intrusive marketing and disturbing web elements in a lot of cases enforced by unauthorized usage of private information makes millions of iOS users around the world wonder: how to stop ads on iPhone and iPad effectively? To give an understanding of the matter, first of all, shedding light on the technical capabilities of ad blockers for iPhone and iPad in iOS environment seems to be the most appropriate choice. As we all know, iOS differs from every other OS, and is known for (or is being presented as) being very polished and user-friendly. However, with great features come great limitations. For instance, as our topic is how to get rid of ads on iPhone and iPad, it’s worth to note that the amount of functions adblocker can bring into play is significantly narrowed down by iOS environment, in comparison with any other. In the first case, Apple itself provides necessary tools (API – Application Programming Interface) to make adblocking in Safari possible, and so developers need to focus mainly on the UI and filters that clean incoming traffic. Therefore, the quality of filtering and privacy protection is pretty high. There’s only one significant drawback: this can be used only in Safari and doesn’t apply to other browsers and apps (e.g. Google Chrome). And so, we come to the reality of the second case, where developers are on their own in the fight with all kinds of online threats outside Safari. Here, only DNS blocking (pages’domain name blocking). What that means is this: we can block the whole internet page domain, e.g. ads.google.com, that is the source of unwanted elements on the websites. But, if the domain does contain some information that is useful to us, it will result in us not seeing it along with the blocked annoyances. Also, we can’t use things such as beautifying scripts, that can not only remove the element but also get rid of the blank space that remains on the page from it. Furthermore, some advanced websites can’t be filtered at all, since their commercials, banners etc. come from the same domain and/or use high-level anti-adblock scripts. To make things worse, about a year ago, Apple suddenly redefined its’ approach and policy regarding system-wide blocking of ads and elements in iOS devices by adblocker-apps. When asked what caused the sudden change in the take on matters, Apple’s reply was somewhat ambiguous: “This is not a new guideline. We have never allowed apps on the App Store that are designed to interfere with the performance or capabilities of other apps.” And so, things that were done with significant effort even before, now became unacceptable from Apple’s point of view, causing additional difficulties for developers. Now they can’t update their apps because it became impossible to pass the reviewing process without removing the system-wide filtering fucntionality. We at AdGuard try our best to make the internet a safer and cleaner place, free of aggressive marketing and personal data theft. We’ve put years of work and dedication into making adblocking products and can firmly say that we provide one of the most advanced and transparent solutions available. The choice is all yours, we just want to point out what AdGuard and AdGuard Pro for iOS can do to help you clear unwanted ads and trackers, considering the problems we mentioned above. manually block unwanted elements right in Safari. through DNS servers or import DNS blocklists (subscriptions). Thank you, if you read this far. We hope this article was useful to you. Be safe out there online! AdGuard for Windows provides you with reliable and manageable protection that filters loading web pages immediately without any action on your part. AdGuard removes all annoying ads and pop-ups, blocks dangerous websites, and does not allow anyone to track your activities on the Internet. AdGuard for Mac is the first adblocker developed specifically for macOS. Not only does it block ads and annoying pop-ups in all browsers, but it also protects you from online trackers and dangerous websites. AdGuard offers you a simple and intuitive interface with additional features such as AdGuard Assistant and a filtering log. AdGuard for Android provides you with reliable and manageable protection. AdGuard removes all the annoying ads from web pages and applications, blocks loading of dangerous websites, and does not allow anyone to track your activities on the Internet. AdGuard stands out against its analogues, as it can work either in HTTP proxy or VPN mode. AdGuard for iOS is an app that protects you from annoying ads in Safari. Moreover, it prohibits online tracking and secure privacy of your personal data. After downloading the app, you get an ad-free and safe internet experience, where websites open much faster. Try now and enjoy a better web-surfing experience on your iPhones and iPads. Compatibility Requires iOS 10.0 or later. Compatible with iPhone 5s, iPhone 6, iPhone 6 Plus, iPhone 6s, iPhone 6s Plus, iPad Air, iPad Air Wi-Fi + Cellular, iPad mini 2, iPad mini 2 Wi-Fi + Cellular, iPad Air 2, iPad Air 2 Wi-Fi + Cellular, iPad mini 3, iPad mini 3 Wi-Fi + Cellular, iPad mini 4, iPad mini 4 Wi-Fi + Cellular, iPad Pro, iPad Pro Wi-Fi + Cellular, and iPod touch (6th generation).